Your Team, Your Plan, Your Vision. You know you've done well when you feel like your children are taken care of and have grown into adults you like and respect. One of the greatest gifts or one of the greatest curses may be having family wealth to support their endeavors. Let's talk about the smartest way for you to support them and your grandchildren in a way that fosters personal growth and happiness. 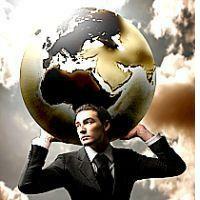 Your business plan is redefined. It can fill a book or fit on a napkin. You now have a plan that takes you from it's small beginnings to the successful realization of your dreams. Whether you're going to conclude with a succession plan or an outright sale, you know the flight path to your ultimate destination. Charitable donations are a direct reflection of your values and perspectives. When you donate money, you're contributing to your personal passion. If you want to see food available to homeless people, you can donate to the local food pantry or soup kitchen. If you want to fight global warming, there are plenty of organizations that are fighting for such change. The real question is whether you have found something with enough importance to you to speak with your checkbook. After a lifetime of strategic planning, late nights and delayed gratification, it's vital to actively plan for fun and adventure. Whether that means playing with grandkids, spending more time with your children or hitting the open road, if you don't name it and plan for it, the best parts of life can slip by. We won't let that happen to you. Your financial written plan is an easy to read narrative that will show you the path to the greatest chance of success. It's easy to understand and we make it easy to follow. Most importantly, we've worked for hours to give you a path with the greatest probability of success with respect to the risks that you face. You've carefully made sure that your plan provides for vitality when you're here and protection for those you leave behind, whether through your passing or incapacity. Loving parents and spouses make these plans well in advance so that their passing is less of a burden on family. But mostly, it’s a feeling of relaxation. Knowing that your family’s financial house has been designed, built and administered by some really great people. Your people. Nothing on this website shall constitute an offer to buy or recommendation to sell any securities. Investment advice may be provided by Guy-Robert Porter, LLC, a Missouri registered investment advisory firm. Reading this website or corresponding with us via email does not constitute an advisory relationship. This site is for educational purposes only. Please see our complete disclosures on the "About Us" pages. 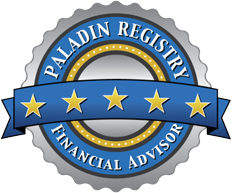 Paladin is the only SEC registered firm that vets, rates, and documents the quality of financial professionals. Is LifeStream Advisory for You? No thanks, just the download.